Held each June, the Leadership Development Seminar is an intensive, interactive learning format that offers topics ranging from strategic planning, effective team building, financial analysis, managing conflict, running effective board meetings and more. The Leadership Development Seminar is not a conference. It is a small group of board chairs, aspiring chairs and other directors engaging in meaningful discussions and exploring best practices for leading the board and the credit union. Seminar facilitator Tim Harrington will guide you through two engaging days packed with actionable strategies acquired through board chairs’ own inquiry and experiences. The agenda is focused on essential governance topics around a free flow of ideas from the group. 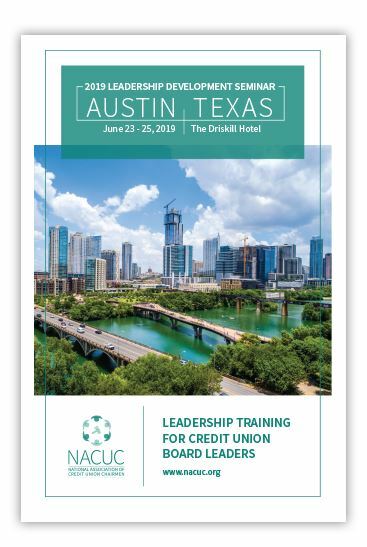 As a participant of this highly interactive seminar, you will learn leadership skills to become more strategic, to govern your credit union more effectively and to ultimately guide your board toward positive results for the credit union and its member/owners. 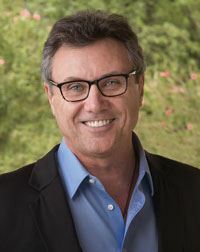 Author, consultant and speaker Tim Harrington has worked with credit unions in all 50 states, the U.S. Virgin Islands, Puerto Rico, Canada, Jamaica, Mexico and the Dominican Republic. His progressive ideas and broad knowledge of governance make him a valuable resource for credit unions nationwide. Tim’s two books, Eisenhower on Enlightened Leadership and A Credit Union Guide to Strategic Governance, are used by boards and management teams across the country. He has worked with chairpersons and boards to improve their governance and strategic planning skills. In addition, he has educated directors to understand financial statements and credit union financial conditions. His knowledge, wit and down-to-earth delivery keep you engaged and engrossed. This will be Tim’s seventh year leading the NACUC Leadership Development Seminar. Credit unions needing financial assistance to be able to attend the 2019 Leadership Development Seminar are invited to apply for the Norma Benson Memorial Scholarship. Please review the program details below to find out if your credit union qualifies. Questions? Email nacuc@nacuc.org, or call 1-(888) 987-4247.